My only new years resolution of sorts this year is to get out and explore more, travel more, and not always necessarily abroad. We have so many amazing towns and cities, landmarks, festivals and museums in the UK and I've realised that I don't make the most of some of the wonders that are right on my own door step. So be it hikes through the South Downs, fish & chips on a Cornish beach, visits to a London museum, a trip the UK based festivals, I'm planning on making the most of what we have in GB this year. Starting as I mean to go on the trip to the Peak District was a great start to 2017. And I also took a trip down to Dorset to visit the magical Corfe Castle and the Jurassic Coast. Corfe Castle on the Isle of Purbeck dates back to the 11th century and was built by William the Conquerer. Now owned by the National Trust, it's a breathtaking example of the historical gems we have in the UK. We had the perfect weather, frosty and sunny, so wrapped up warm, packed a thermos flask of hot chocolate and set out to explore the ruins. And Corfe Castle is just fantastic for keen photographers. The country views and ruined architecture are a dream through the lense. The pretty village of Corfe, built in the local Purbeck limestone, offers a great range of pubs, shops, tea shops and restaurants. 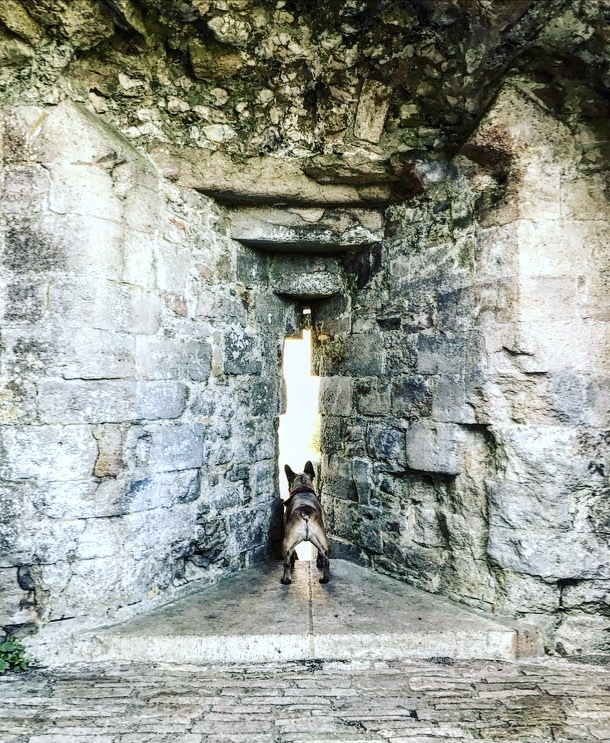 I cannot recommend a visit highly enough, and dogs are welcome to explore the castle ruins with you too, a bonus for dog owners. Find out more about visiting the Jurassic Coast at the National Trust.